Nearly all women will experience uncomfortable, and at times painful, vaginal itching at some point in their lives that can cause a huge scratch in a woman’s day. This review will examine Vagisil topical cream that is designed to relieve painful and burning itch. Vaginal itching can be caused by a variety of reasons like period, perspiration, certain soaps, or even tight clothing. Vagisil promises to offer maximum, fast-acting relief by forming a protective barrier over the delicate skin to help reduce the chance of further irritation associated with taking antibiotics, discharge, an imbalance in pH and other irritating vaginal conditions. This topical cream is blended with Aloe and Vitamins A, D and E to provide long-lasting comfort. It also contains patented Odor Block Protection to prevent odor before it starts. Inactive Ingredients: Water, Mineral Oil, Cetyl Alcohol, Propylene Glycol, Glyceryl Stearate, PEG-100 Stearate, Isopropyl Palmitate, Aloe Barbadensis Leaf Extract, Tocopheryl Acetate, Retinyl Palmitate, Zea Mays (Corn) Oil, Cholecalciferol, Lanolin Alcohol, Fragrance, Methylparaben, Carbomer, Isopropyl Myristate, Isopropyl Stearate, Sodium Sulfate, Triethanolamine, Trisodium HEDTA, Maltodextrin. Benzocaine is used for its numbing properties. It is used to reduce discomfort caused by skin irritations, vaginal irritation, and hemorrhoids. Resorcinol works by breaking down rough or hardened skin. Vagisil recommends applying a fingertip amount (approximately a one-inch strip) to affected area up to 3-4 times daily. Stop use and talk to your doctor if condition worsens or persists for more than seven days. Vagisil is meant only for external use. Pregnant and nursing mothers should always consult with a physician before using any medicated cream. WebMD says pregnant women can use Vagisil only when necessary and determined that it is unlikely for significant amounts to be excreted in milk. Vagisil does not cite any side effects on their website. In our research, we found common side effects from the key ingredient, benzocaine, such as headaches, fever, nausea, and vomiting. You can only buy this product from different third-party retailers. We found Vagisil online for $4.44 for one tube. Pricing will vary according to the retailer. We could not find a manufacturer’s guarantee for this product. The price and guarantee will vary depending on the retailer where you buy from. 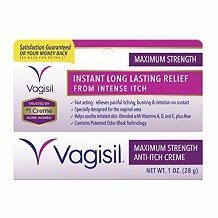 The Vagisil website is engaging and easy to navigate with a multitude of information about how this cream can be effective in treating vaginal itch. The price for a tube of Vagisil is fair although they do not offer a money back guarantee. Their slogan states that they are the strongest medicine you can buy to relieve itch fast but we found this to be misleading because, in our research, we came across several consumers who claimed this product was ineffective and even had adverse reactions that worsened the itching. Vaginal itch is a condition that demands immediate relief and those experiencing it do not want to waste their money, and especially time, on an ineffective product that will potentially worsen the itching. 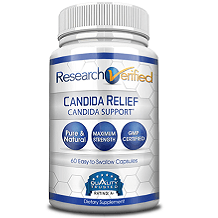 For these reasons, we would readily look into other products that offer proven effectivity before relying on Vagisil for relief from vaginal itching.